Get married to a strange spirit or become dinner? Aoi decides to create a third option for herself! Aoi’s having no luck finding a job at the Tenjin-ya inn, but a chance encounter with the tengu Matsuba might give her another option! 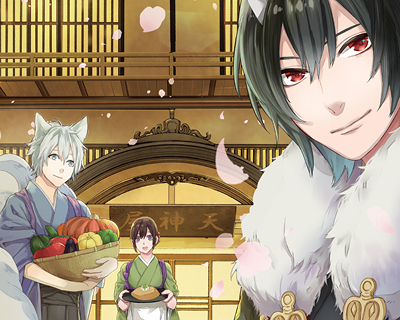 Her home cooking and kind manner impress Matsuba, and when he finds out why she’s in Kakuriyo, he offers to welcome her into his family as a daughter-in-law to pay off her debt! Can the still unemployed Aoi afford to turn down such a generous offer? Never miss a new release. Follow Kakuriyo: Bed & Breakfast for Spirits today!